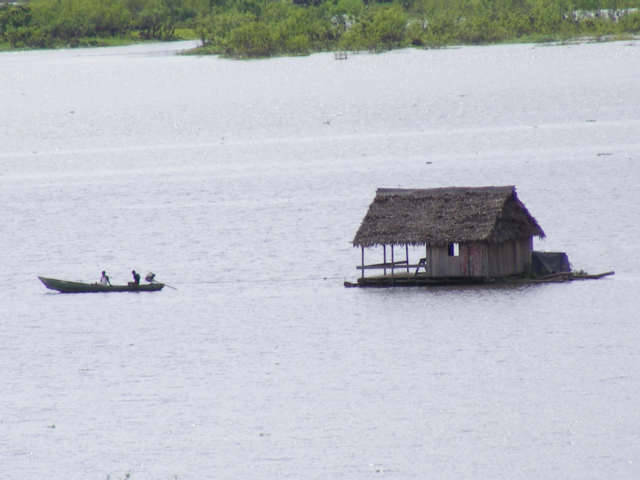 Here is are some photos of a house being pulled by a boat to another area of the river in front of the city of Iquitos, Peru. The Amazon River rises and falls greatly as this river drains the majority of rainfall and snow in South America. 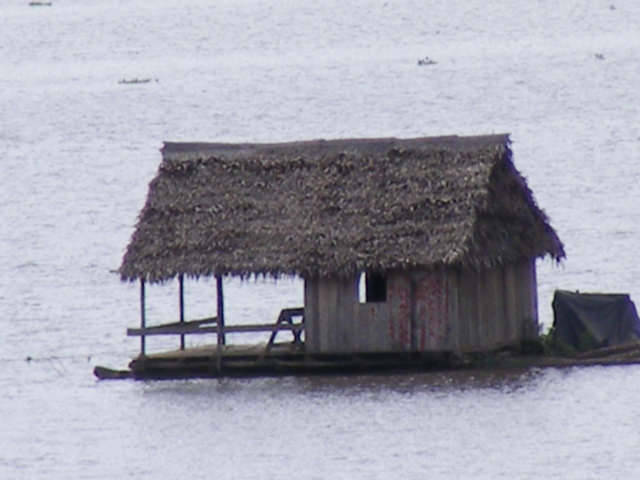 The people probably are moving this house to from the area of Belen in Iquitos, Peru to an area with higher water because the water is receding. This house is floating on balsa wood logs. You could easily say they are nomadic, however not accurate, the river changes in depth, the width of the river changes, the banks along the river can cut huge swaths and force a village to move. 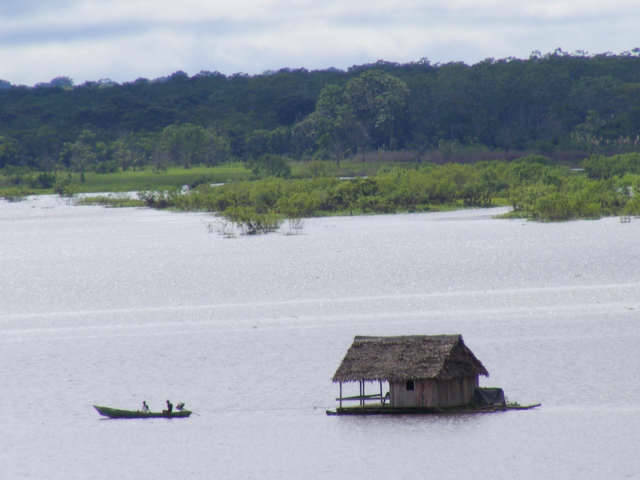 As I observe the people of the Amazon River Basin, they are never far from water, it is a very hard place to destroy.